Finding room to store vehicles, outdoor supplies, boats and other equipment is a snap with this round style portable shelter. The shelter measures 14 feet wide by 20 feet long by 12 feet high. Shelter Logic makes this round style portable shelter. 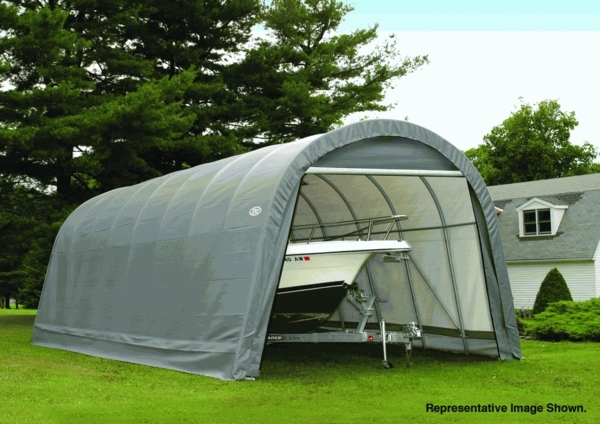 Shelter Logic are the experts in portable shelters, portable garages, and portable sheds. 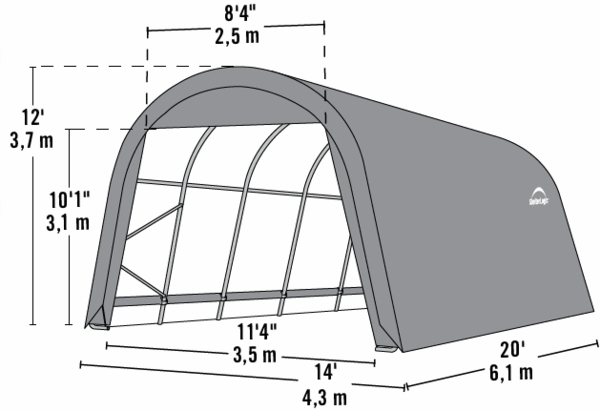 This shelter is exceptionally sturdy with technology that includes stabilizers and bolt-together points. The cover is made smooth and tight with a ratchet system.